In ancient Rome, the “dog days” of summer referred to an astrological period where Sirius rose just before the sun. In modern day, we use the phrase more broadly to describe the hottest time of year. 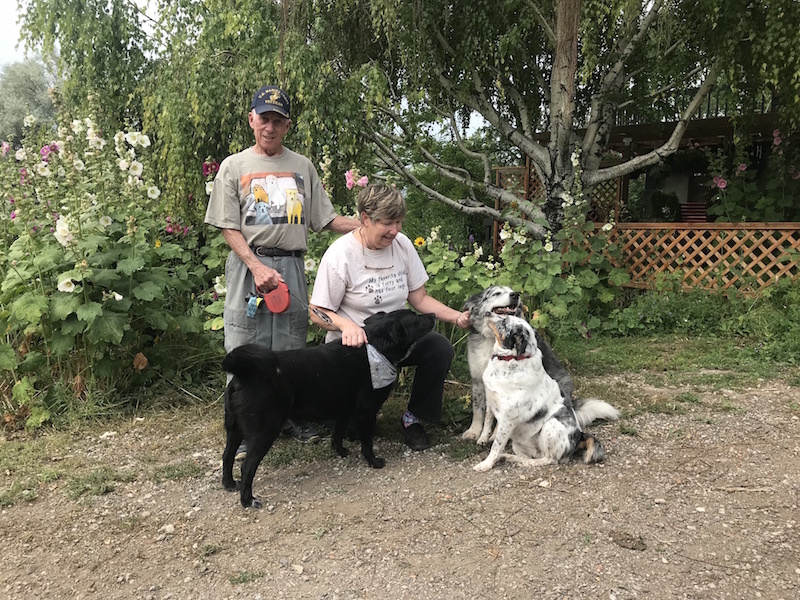 But to Denny Chase, every day is a dog day of summer; for thirty years, he and his wife, Linda, have made it their duty to save East Glacier’s strays. The Chases made their first rescue in 1988, the same year they became proprietors of Brownie’s Grocery. While washing windows one afternoon, Denny caught the faint sound of whimpering and looked about to find Cold Bear, the pup next door, tied to a tree with two empty bowls before him. A brief survey of the property revealed that the owners had rushed out; the front door was ajar and the sink full of dishes. Denny gave Cold Bear food and water, and when his owners didn’t return, Denny brought him home. Cold Bear’s rescue opened the Chases’ eyes. It suddenly became apparent that East Glacier was overrun with neglected dogs and that someone needed to do something about it. Instead, the Chases took the burden upon themselves. They fed and watered strays, giving them away to good homes throughout the summer. When winter arrived, any dogs that weren’t adopted went home with the Chases. It’s been three decades since Denny’s act of compassion toward Cold Bear, and while he says they aren’t getting any younger, he and Linda have no plans to retire their post as East Glacier’s canine guardians.